To be “finished” or not to be “finished” – this “Hamlet” issue for Yaneva might have been decided in her favor during a card game “up high”, at “Boyko’s” (Boyko Borisov, Prime Minister of Bulgaria – editor’s note). Such outcome has been proposed by attorney Momchil Mondeshki, who has offered to personally approach the Prime Minister. The successor of a slain organized crime boss would have introduced him to Borisov’s intimate circle. This new episode of #Yaneva Gate exposes the circles that determine the backstage decisions of Prime Minister Borisov – thugs who make decisions on crucial State issues while playing cards – decisions about institutions, rules, separation of power in the State, political party life, selection of personnel and even the presidential candidate… everything is a sham, orchestrated from Bankya (suburb of the Bulgarian capital Sofia, where Borisov’s home is located – editor’s note). “Boyko called him and told him to finish me,” Yaneva says in the current recording and reiterates her conversation with the Prosecutor General, adding that even “Joro Kolev” (Georgi Kolev, President of the Supreme Administrative Court- editor’s note) could not do anything to help her. The Prime Minister was not even answering the latter’s calls, although they knew each other. The judges are sceptical: “Yeah, yeah, this could make things worse”, but Mondeshki is ready to sacrifice: “Me, forget about me”. 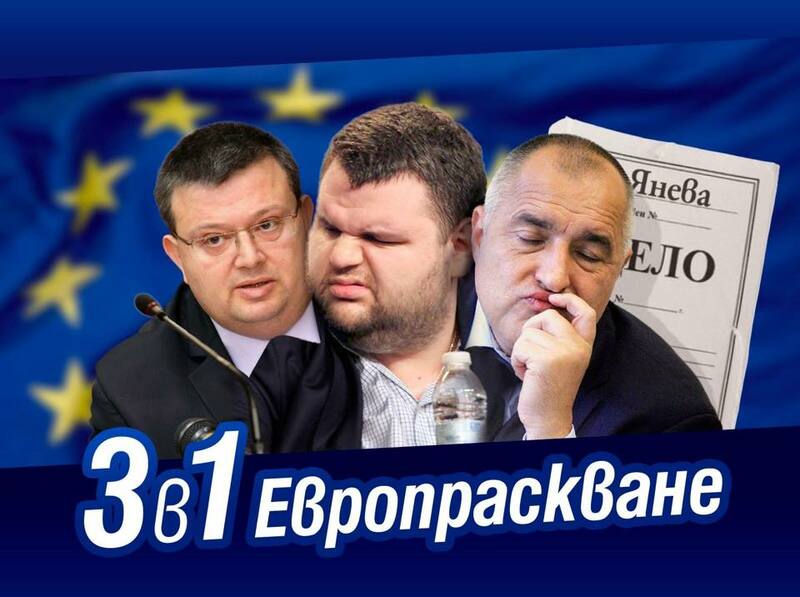 The plan improvised by Mondeshki is to go to Bankyia and meet with Boyko Borisov with the help of Petar Lashov, one of the heirs of the murdered crime boss Georgi Iliev. Lashov is from the close entourage of the Prime Minister, a member of the selected circle of persons who “are playing cards every night “. It remains unclear who the other players are, but Lashov had previously and on numerous occasions invited Mondeshki to “go up there with him”. “I’ve had the honor of playing cards, and he was on my side, rather sat behind me, breathed in my neck and helped me win,” explains Yaneva. “Even if we do not win, it is considered that we have won,” this is how she summarizes the outcome of the game. “I hear you, it seems that playing cards with Boyko is very interesting, beauty,” concludes Mondeshki. “After all, I should not have to explain this to you; events like this are in abundance,” pointedly says Yaneva. From playing cards with Boyko, the subject of the conversation moves to the predictions of the fortune-teller. In the first episode of the new season, a fortune-teller named Ellie tells Mondeshki by phone that for now they would be spared, but three months later a blond woman under the zodiac sign Cancer would have to leave, and six months later, the head of a second blonde woman would roll. In that episode, we learn that one should personally approach Boyko. This is how, amidst card games, fortune-tellers, and jokes, the executive and the judiciary “finish” each other while simulating statesmanship.